There is so much going on in NOLA on any given day, let alone weekend, that it can seem nearly impossible to decide what to do with one’s time. This is the eighteenth edition of a weekly series (formerly titled “things to do“) in which we here at Big Easy Magazine give suggestions on meaningful ways to spend a day, evening or afternoon in our beloved city that tie in with progressive values. So let’s begin! What’s a good way to spend a weekend in New Orleans, or more specifically, what’s a meaningful way for the active progressive to spend this weekend in this beautiful city of ours? If you haven’t already, explore some of New Orleans locally run theatre companies! If you read this piece and find that I’ve left out a theatre co. or a troupe or group worth checking out, please chip in! Leave your thoughts and your favorite New Orleans Theatre Company in the comments below! The art of live theater is indeed born of progressive values. Theatre, from ancient Greece to Shakespearean England, from the early 19th century, to current on and off Broadway companies and shows is the expression of the people. This expression is often times a push back against the powers that be. There can be as much (if not more) human truth in live theater as there is in any newspaper or history book! New Orleans has many great theatre companies, but for the sake of this brief article, I will discuss three. Let us start with Southern Rep Theatre Company! The Southern Rep, located at 2541 Bayou Rd. was founded in 1986. It performs both Broadway and off Broadway plays and is run under the direction of Aimée Hayes. Southern Rep holds the title of New Orleans’ only year round professional theatre, but what truly makes this theatre company worth your time is their artistic and socioeconomic impacts upon the city! The Southern Rep creates / sustains an average of 500 fairly paid jobs per year through its various programs. The arts are also strengthened through the original (as well as Broadway) productions that this theatre puts on. Take a look at their upcoming shows and be sure to check them out! The next group I’m going to mention is The NOLA Project! This company, located at 900 Camp Street, is in their 14th season. Founded in 2005, The NOLA Project started off as a group of actors and performers largely from New Orleans and New York. They’ve since grown a great deal and now have 35 theatre artists and a growing, diverse fan base. Known for their boldness, this company puts on original plays as well as known ones. Much like the Southern Rep, The NOLA Project puts on workshops for creatives and educational programs. More information on such can be found here! Operating as a non-profit, The NOLA Project serves the community by pushing the envelope artistically and diversely so. Be sure to check out their current season’s schedule! The final theatre company that I will mention is perhaps the newest on the block! The nolaNOW Theatre Company is a non-profit theatre company that was started in the spring of 2018 by Madeline Kolker and Coco Guillot. These impressive, driven women are both still only in their 20s! They are passionate New Orleans creatives with a vision to bring New Orleans up into the present moment through focusing solely on contemporary stories. Contemporary in this case meaning plays that are not only socially impactful currently, but also written within the past decade. This will give many New Orleans creatives a chance to test new work and get their names out there! Find out more about upcoming shows, auditions and employment opportunities with them here! No matter what you end up doing this weekend (or whichever day you happen to read this), regardless of which local theatre company you decide to spend your time, money and energy to go see, don’t forget to stay hydrated! Be kind! Be New Orleans! Also, don’t forget to check out one of our earlier pieces from our September monthly edition on women owned and lead businesses in New Orleans! Therein you will find more detailed information on the nolaNOW! Theatre Company. 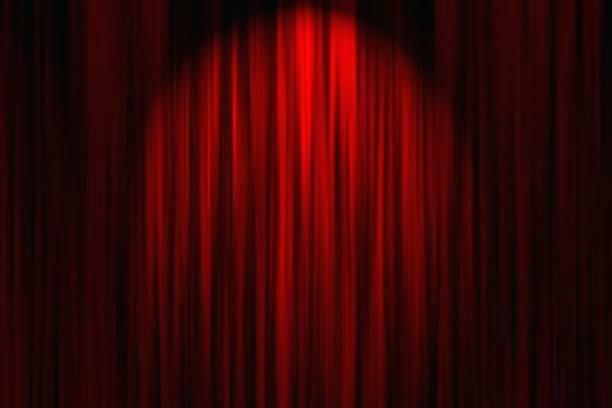 If you have any additional suggestions or knowledge that we’ve missed on local theatre companies and acting troupes that deserve a shout-out, please comment! Perhaps you just have thoughts on living and working in this wonderful city of ours that you’d like to share! If so, feel free to contribute to our blog! Finally, don’t forget to check out the latest in our Progressive’s Weekend section of our site for many other unique ideas on how to get the most out of your weekend!